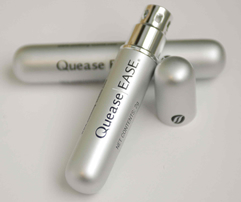 Purchase QueaseEASE Essential Oil Therapy from our retail website, BabyHopes.com. Remove cap. Hold container under nose and take a few deep breaths. Replace cap tightly when finished. Use as often as needed. Product can be effective for up to 6 months when cap is replaced after each use.